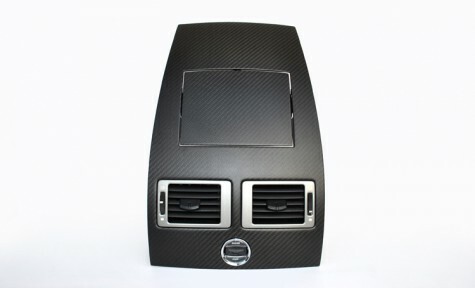 Crafted with pre-preg carbon fiber over the original OEM instrument panel, this part is available for sport-shift or manual cars, and for cars with or without a navigation unit. The instrument panel is available in matte or glossy carbon fiber. Please note that the starter button and air vents are not included.